Create a letter from Santa and make this Christmas a magical experience for your child. Imagine the smile on your child's face when the receive personalized letter written to them from Santa Claus. 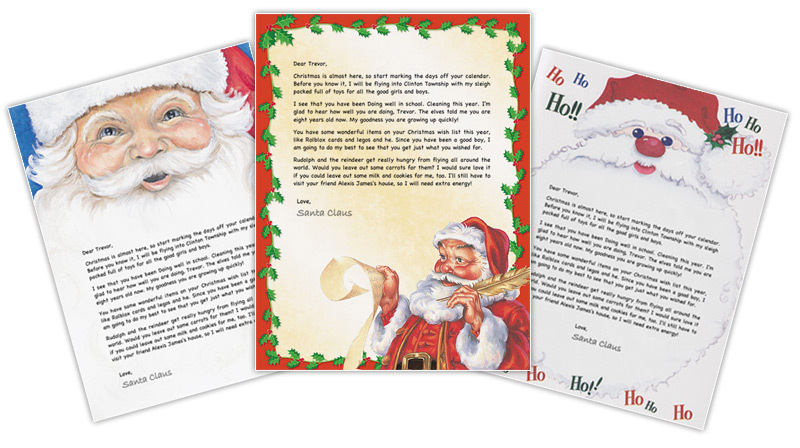 You can customize a letter for each of your children by using our fun and easy online Santa Letter creator. This will be one of the most memorable gifts you'll give this Christmas. Don't have a printer at home or the time to print your own Santa Letters this busy Christmas season? We'll do it for you! 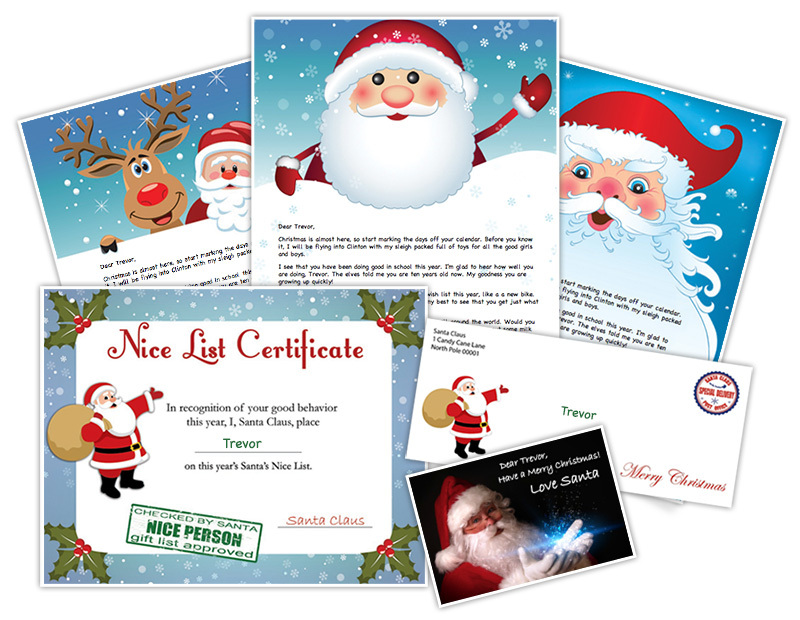 You craft the letter with our easy to use online santa letter creator choosing one of our Mailed letter designs. We take care of the printing and mail it out to your loved one. With over 150 Print-at-Home personalized Santa Letter combinations, it's easy to create a unique letter for each of your children with our online santa letter tool. After you finish creating your letters, simply download them to your computer to print out on your own printer.